A two bedroom – two bathroom vacation home. 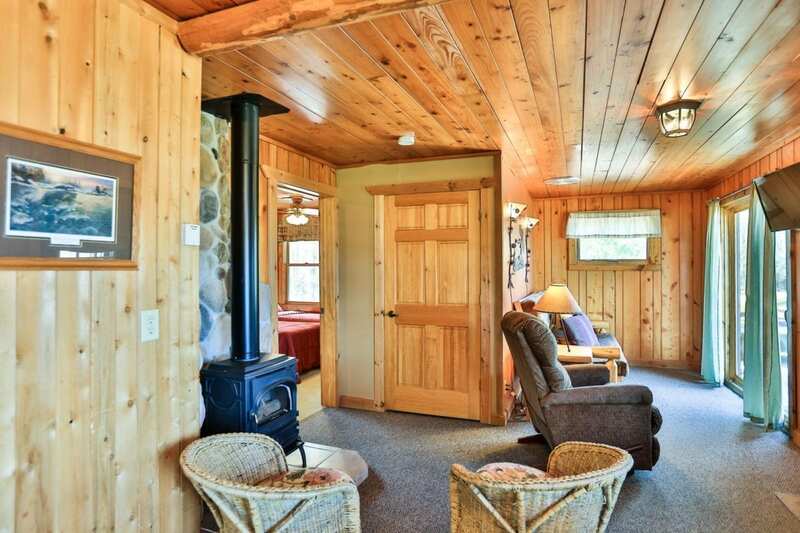 Knotty pine interior & carpeted throughout. Large vaulted ceiling in living room, kitchen and dining area. Fully equipped kitchen with a dishwasher. Two bedrooms, each with its own private bathroom. BRM 1 – Two queens, BRM 2- 1 full and 1 Twin Bed, and 1 Queen Sleeper Futon. Nice deck outside with charcoal grill, picnic table, and fire pit. 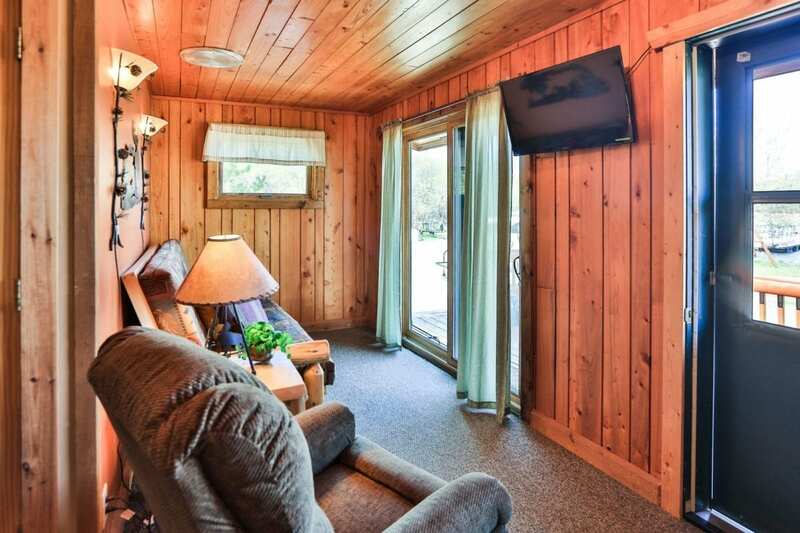 A two bedroom vacation home with large wrap-around deck and a breath taking view of Lake Kabetogama. It has its own private picnic point with fire ring. Master bedroom has a king size bed and patio door, offering a spectacular view of the lake and exit onto the deck from bedroom. 2nd large bedroom has 3 twins. The Muskie Lodge is carpeted and finished in knotty pine. Lovely modern kitchen with a dishwasher and large bathroom with tub & shower. Large kitchen, vaulted ceilings with Norway Pine throughout kitchen and living room with great lake views. One full bathroom and two bedrooms. Spacious Deck with deck furniture. Beautiful sunsets from deck, living room & kitchen windows. This rental is also smoke free. Smokers are very welcome and asked to smoke outside the lodge. Please, no pets allowed. 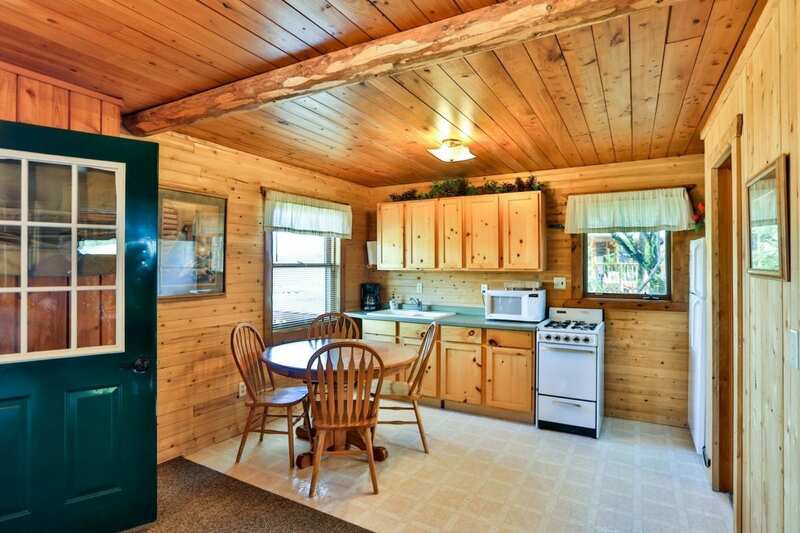 Two bedroom cabin near the waters edge near beach area. Close to dock and direct sunset views. 1 large bedroom has 3 twin beds; 2nd bedroom has 1 queen bed. Picnic table and fire pit located just off the deck. Patio door walks onto large deck with charcoal grill. 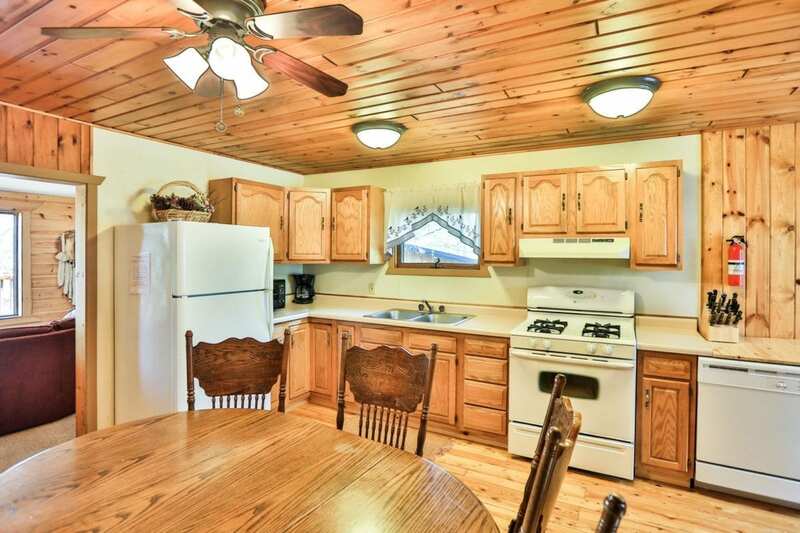 With knotty pine interior, this is a second floor apartment with a nice deck overlooking the woods and the deer trail. The unit has a large kitchen/dining area and spacious living room with electric fireplace. There are 2 large bedrooms which will comfortably sleep 7 people. Queen bed in master bedroom, second bedroom has two bunk beds with full size beds on bottom and twin on top. A queen hide-a-bed couch in the livingroom. Charcoal Grill. Deck furniture, picnic table and private firepit. We start you out with your first bundle of firewood!